For better or worse, your mobile device is with you wherever you go, so it is important to keep both your device and the information available in it secure. 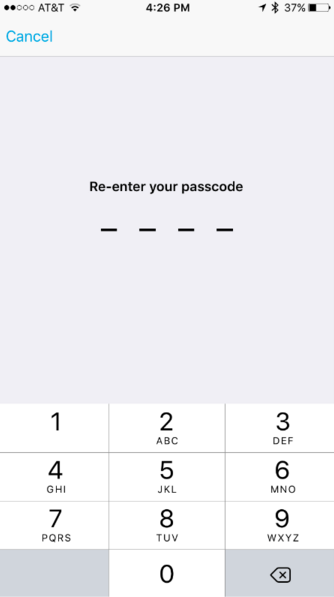 With that, we first recommend you enable a mobile passcode (or use Touch ID) for your iPhone or Android device. This will ensure your device is protected at all times. 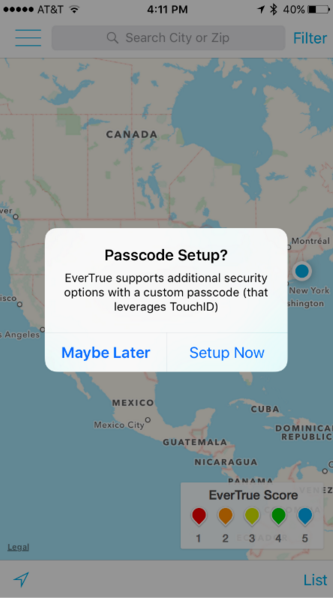 Additionally, we also recommend you enable a separate passcode for the EverTrue app (instructions below). After downloading and logging into EverTrue on your device, you will be asked to set a passcode. Click "Setup Now" to get started! If you happen to have ignored this request, no worries. Simply head over to Settings by clicking the gear icon in the top-right corner of the side navigation menu. 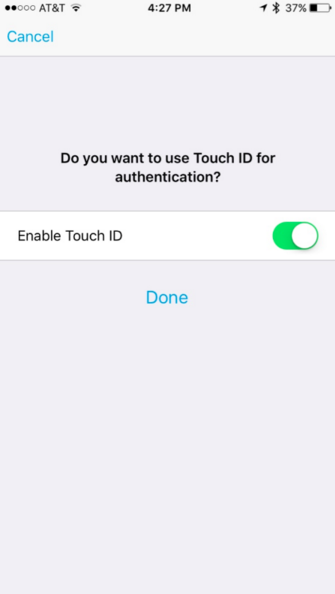 Select "Set Passcode/TouchID" and follow the prompts to enable. And you're all set - EverTrue is secure and ready for use wherever you go! Lastly, if you haven't already, enable Two-Step Verification for your user account. Once both are enabled, you'll end up with 3 layers of security within your mobile app: initial login, two-step verification, and your mobile passcode.